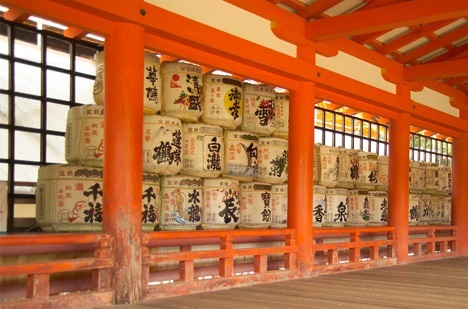 Shintoism Beliefs - What are the beliefs of the Shinto religion? Shinto is the traditional spirituality of Japan, and incorporates religious, cultural, and historical practices. Shinto teaches that everything contains a spiritual essence (kami). All mythological creatures in Japanese cultural traditions, including Buddha, the Christian God, Islamic Allah, Hindu Gods and Goddesses, etc., are also consider kami. Although kami are said to reside in all things, there are certain locations where people are better able to communicate with kami. These include sacred places, public shrines, and small home shrines (kamidana) that many Japanese people have in their own homes. According to Shinto, certain kinds of actions create ritual impurity which must be cleansed for peace of mind and good fortune. Ritual purification (harae) is necessary to remove sins (tsumi) and uncleanness (kegare), and can be performed upon people, places, and objects. Harae is performed by ritual washing with water, or by a Shinto priest. Shintoism generally has a negative view of death, and views death and corpses as a source of uncleanness (kegare). In older Japanese legends, the dead went to a gloomy underworld realm (yomi), but other legends do contain concepts of resurrection, heaven, and apotheosis (becoming a God). Although when a child is born, many Japanese people follow Shinto rituals, most Japanese people follow Buddhist rituals for funerals. 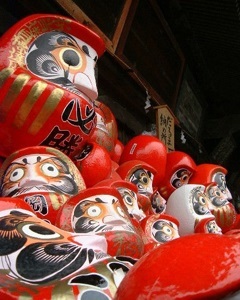 Unlike many other religions, Shinto does not require professing of belief. In Japan, a local Shinto shrine will simply add the name of any child born in the area to a list and declare the child as a family child (ujiko), regardless of the family's religious beliefs. This is not regarded as an imposition, but simply the welcoming the child by local kami.